A Day in the Life on the Farm: Cinnamon Cranberry Cup of Comfort for the Cape Cod Select Holiday Blogger Challenge. 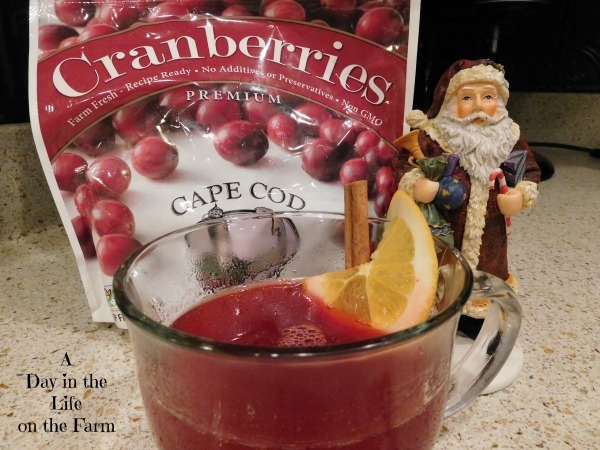 Cinnamon Cranberry Cup of Comfort for the Cape Cod Select Holiday Blogger Challenge. 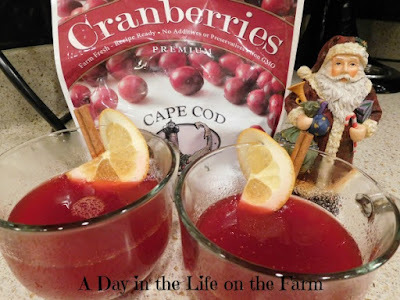 I was approached by Cape Cod Select and asked if I would be interested in entering their Holiday Blogging Challenge. Categories for this challenge are beverage, entrees and baking. Bloggers are allowed to participate in all 3 categories if they wish. One winner is chosen from each category and will receive a prize of $500 and there will be one overall winning recipe for a grand prize of $1000. 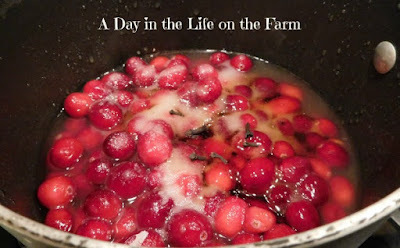 I was sent two bags of fresh frozen cranberries for use in this challenge. I have not/nor will I receive any monetary compensation unless I am deemed a winner of this challenge in one of the aforementioned categories. 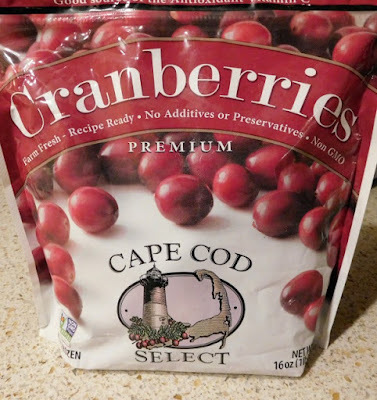 To participate in this challenge I have agreed to refer to the cranberries by name brand in the recipe, include a picture of the cranberries that I received to use in this challenge and include links to the company's social media as well as a download to stores where my readers will be able to find Cape Cod Select Cranberries. I decided to enter into two of the categories offered. I entered the baked challenge with this Caramelized Cranberry Cake. Now I would like to share an entry for the drinks category. I created this drink on a snowy and cold December evening. We had been out running errands all day and it was chilly willy with high winds. I wanted something that would warm my bones and comfort my soul. I found it!! I started out by making a juice from the Cape Cod Select Frozen Cranberries. I cooked them up with some orange and lemon juice, sugar, honey and cloves until the cranberries popped and released all of their tart goodness. I strained out all the solids and was left with 2 cups of this beautiful hot juice. I divided the juice between two cups and added some hot cinnamon schnapps to the mix. Garnished with an orange slice and a cinnamon stick. Sat down on the couch, curled my feet up under me and sipped myself right into relaxation. This will be the perfect cocktail to serve after a day of cross country skiing or sledding. It will soothe the soul on those cold wintery nights when you are feeling bleak and missing your loved ones. It will warm your cockles when you are feeling under the weather. It will warm your next gathering with dear friends. I think I have discovered the perfect Winter Cup of Comfort. You can find Cape Cod Select Cranberries at nearly 5000 stores nationwide. Check their store locator to find them near you. Cape Cod Select is also on Facebook, Twitter, Instagram and Pinterest. All opinions are 100% my own and are not affected by the product received or contest entered. Now this is my kind of drink! I will give this a try this season!! And I forgot to tell you that I hope you win!!! !